Home / BLOG / News / It’s the birthday of our city: 15% discount on the new birthday calendar! It’s the birthday of Haarlem! On the 23rd of november 1245 Haarlem received city rights. “We” are turning 773. At Haarlemse Huisjes we celebrate by giving away a present on our facebookpage and by giving a discount in our webshop. 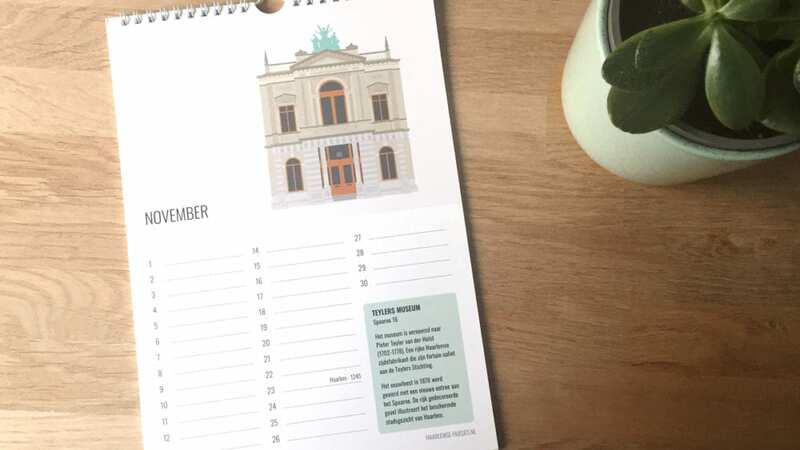 The birthday calendar is an original gift for everyone who loves Haarlem. Every month a different Haarlems Huisje to enjoy. Perfect as a Christmas present. The first edition of the calendar was all sold out, so we needed some more. It’s not just a reprint, we updated it with our newest illustrations. There is plenty of room to put in all the birthdays of your friend and family. The only birthday we put in for you is the one of Haarlem on the 23rd of november. 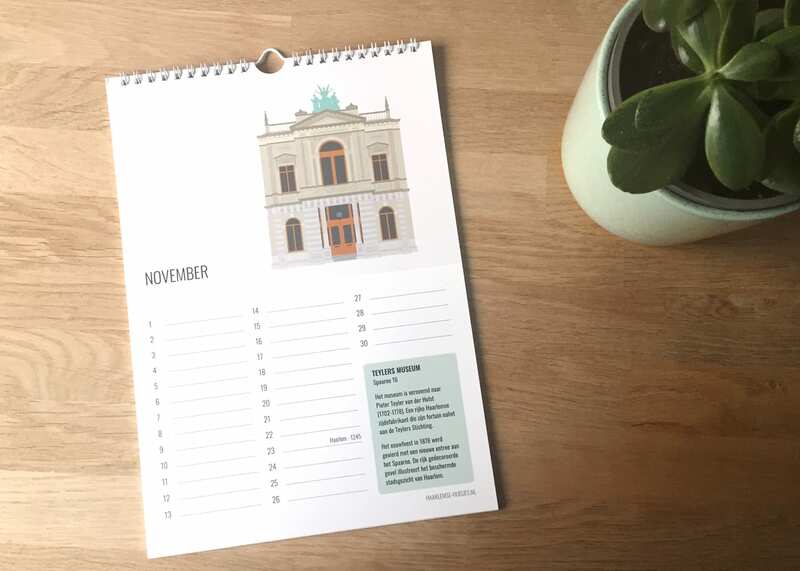 The new calendar is full of the most beautiful and exceptional buildings of Haarlem. In order you get: City Hall, the Vleeshal/Vishuisje/Verweyhal, the Waag, Windmill the Adriaan, the Ripperda, the Droste factory, Frans Hals Museum, Central Station Haarlem, the Hoofdwacht, the Amsterdamse Poort, Teylers Museum and of course the Grote of St. Bavo church. The discount is valid from the 23rd till the 25th of november 2018.